Danish Whisky Blog: English review of "Skotsk Whisky -uden farve, uden filter. English review of "Skotsk Whisky -uden farve, uden filter. A new whisky book. In Danish. Written by Danes. If you want to learn the differences between the various distilleries in Scotland, you have to do the hard, but enjoyable job, of tasting your way through the approximately 110 distilleries, each of which is available in a huge range of bottlings. But if you want to acquire a good general background knowledge, a good whisky book is a great place to start. 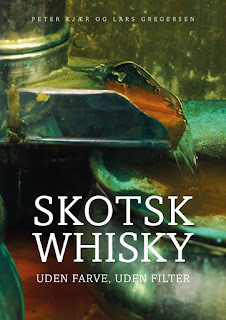 ”Skotsk Whisky” is such a book. The book offers good background knowledge and it is well written and easy to understand, but at the same time filled with lots of facts and special knowledge. This makes the book a good reading both for the beginner and for the very experienced whiskyentuiast. 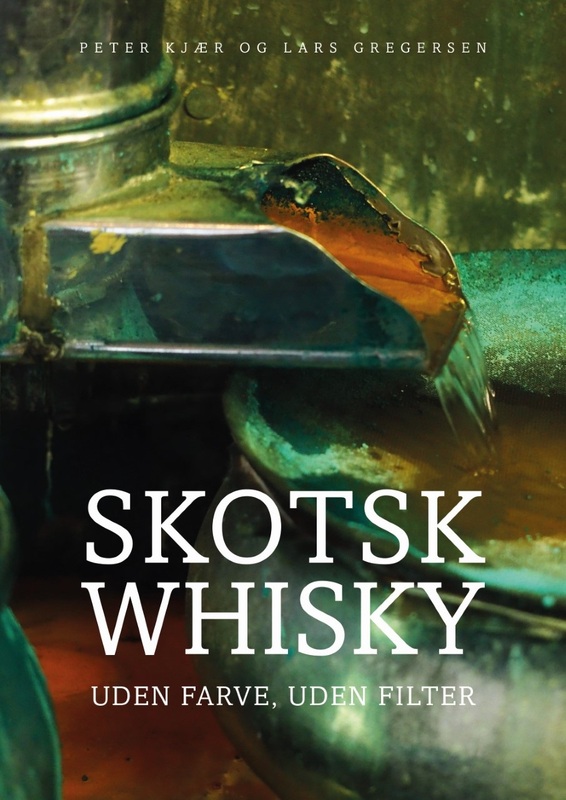 The book's core is 5 chapters on Scotch whisky's history, Description of how both malt and grain whisky is produced, Scotch whiskys´ geography and whether it makes sense talking about such, a trade description, and finally an advice on how to actually taste and enjoy a whisky. Exciting chapters in which the authors appear on the right side of the often seen marketing driven "literature" which can be read or heard when you move around in the whiske world. The chapters are scattered with a number of interesting interviews with both danish and scottish whisky professionals, that is, other authors, brand ambassadors, blenders, managers etc. including a well known danish Glenfiddich collector. It is simply excellent reading. The authors manages to get the majority of the interviewed persons out of marketing mode, and into exciting talks about how to work in the industry, and also share some of their personal views on a variety of topics. ”Skotsk Whisky” do cover areas that other whisky books usually skips or cover very ligthly. In the chapter about the industry, there is a good description of what independent bottlers is, and a very thorough description of what SWA (Scotch Whisky Association) actually is. SWA has been subjected to some criticism in recent years. The authors don't cover this directly, but it is mentioned peripherally in some of the proffesionals interviews, and a few things they would like to see changed is mentioned. The authors have chosen not to write about the scene of Scotch whisky in Denmark. This is probably because the authors themselves are part of this, respectively importer and owner of a whisky bar. The people chosen for interviews are all from companies the authors doesn't represent here in Denmark, which adds integrity to the book. Overall, the book is a must for any danish whisky enthusiast, and clearly the best a whiskybook I've seen from danish writers. Some may think that the competition here is not exactly very big, but this book is so good that it's a shame that people who do not speak danish is not immediately able to read it. In the category of whiskey books dealing with Scotch whisky in general, it is nice to see a book that approaches the topics a little different, which makes the book a good supplement on the shelf even if it's well stocked with other whisky books.